• We store your email for account logins, password resets, and opt-in-only notification/price-drop emails. • We don’t send unsolicited email, nor do we share your email address with third parties. • We store your IP address for legitimate interests, specifically: security, spam prevention, and fraud detection. • We request your consent when required by law to store or process personally identifying information that is not essential to the operation of our website. • Your current consent status is: ALLOW. You may provide or revoke your consent at any time. • the legal bases of the processing. We may process data about your use of our website and services ("usage data"). The usage data may include your IP address, geographical location, browser type and version, operating system, referral source, length of visit, page views and website navigation paths, as well as information about the timing, frequency and pattern of your service use. The source of the usage data is our analytics tracking system. This usage data may be processed for the purposes of analysing the use of the website and services. The legal basis for this processing is our legitimate interests, namely monitoring and improving our website and services, security, and fraud prevention. We may process your account data ("account data"). The account data may include your email address. The source of your account data is you. The account data may be processed for the purposes of operating our website, providing our services, ensuring the security of our website and services, maintaining back-ups of our databases and communicating with you. The legal basis for this processing is our legitimate interests, namely the proper administration of our website and business. We may process your information included in your personal profile on our website ("profile data"). The profile data may include your email address, profile pictures. The profile data may be processed for the purposes of enabling and monitoring your use of our website and services. The legal basis for this processing is our legitimate interests, namely the proper administration of our website and business. We may process your personal data that are provided in the course of the use of our services ("service data"). The service data may include your IP address. The source of the service data is you. The service data may be processed for the purposes of operating our website, providing our services, ensuring the security of our website and services, maintaining back-ups of our databases and communicating with you. The legal basis for this processing is our legitimate interests, namely the proper administration of our website and business, security, and fraud prevention. We may process information relating to transactions, including clickthroughs to retailers or partners through our website ("transaction data"). The transaction data may be processed for the purpose of aggregating usage statistics, security, and fraud prevention. The legal basis for this processing is the proper administration of our website and business. We may process information that you provide to us for the purpose of subscribing to our email notifications and/or newsletters ("notification data"). The notification data may be processed for the purposes of sending you the relevant notifications. The legal basis for this processing is consent. We will use your personal data for the purposes of automated decision-making in relation to security, spam prevention, and fraud detection. This automated decision-making will involve usage pattern analysis to detect malicious behavior, spam, or violations of our Terms of Service or User Code of Conduct. The significance and possible consequences of this automated decision-making are warning notifications, the banning of your account, or the banning of your usage our website. We may disclose your personal data where such disclosure is necessary for compliance with a legal obligation to which we are subject, or in order to protect your vital interests or the vital interests of another natural person. We may also disclose your personal data where such disclosure is necessary for the establishment, exercise or defence of legal claims, whether in court proceedings or in an administrative or out-of-court procedure. We will retain your email addresses for a minimum period of 1 day following the deletion of the account, and for a maximum period of 30 days following the deletion of the account. • the period of retention of ip addresses will be determined based on the requirements of website security, spam prevention, and fraud prevention. Data relating to your enquiries and transactions that is sent from your web browser to our web server, or from our web server to your web browser, will be protected using encryption technology. You should ensure that your password is not susceptible to being guessed, whether by a person or a computer program. You are responsible for keeping the password you use for accessing our website confidential and we will not ask you for your password (except when you log in to our website, change your password, or change your email address). We may notify you of significant changes to this policy by email or through announcements on our website. • the right to withdraw consent. You have the right to confirmation as to whether or not we process your personal data and, where we do, access to the personal data, together with certain additional information. That additional information includes details of the purposes of the processing, the categories of personal data concerned and the recipients of the personal data. Providing the rights and freedoms of others are not affected, we will supply to you a copy of your personal data. The first copy will be provided free of charge, but additional copies may be subject to a reasonable fee. You can request your personal data by emailing “electronicszone.viral-store.net”. In some circumstances you have the right to the erasure of your personal data without undue delay. Those circumstances include: the personal data are no longer necessary in relation to the purposes for which they were collected or otherwise processed; you withdraw consent to consent-based processing; you object to the processing under certain rules of applicable data protection law; the processing is for direct marketing purposes; and the personal data have been unlawfully processed. To the extent that the legal basis for our processing of your personal data is consent or that the processing is necessary for the performance of a contract to which you are party or in order to take steps at your request prior to entering into a contract, and such processing is carried out by automated means, you have the right to receive your personal data from us in a structured, commonly used and machine-readable format. However, this right does not apply where it would adversely affect the rights and freedoms of others. If you consider that our processing of your personal information infringes data protection laws, you have a legal right to lodge a complaint with a supervisory authority responsible for data protection. You may exercise any of your rights in relation to your personal data by written notice to us. This website is owned and operated by ”Electronics Zone - Your #1 Store For Electronics”. You can contact us by email, using “electronicszone.viral-store.net”. Our data protection officer's contact details are: “electronicszone.viral-store.net”. 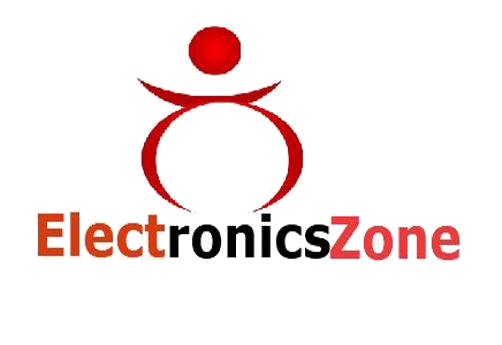 ”Electronics Zone - Your #1 Store For Electronics” operates “electronicszone.viral-store.net”. It is STORE NAME’s policy to respect your privacy regarding any information we may collect while operating our website. Like most website operators, ”Electronics Zone - Your #1 Store For Electronics” collects non-personally-identifying information of the sort that web browsers and servers typically make available, such as the browser type, language preference, referring site, and the date and time of each visitor request. “STORE NAME “ ’s purpose in collecting non-personally identifying information is to better understand how ”Electronics Zone - Your #1 Store For Electronics” ’s visitors use its website. From time to time, ”Electronics Zone - Your #1 Store For Electronics” may release non-personally-identifying information in the aggregate by publishing a report on trends in the usage of its website. ”Electronics Zone - Your #1 Store For Electronics” also collects potentially personally-identifying information like Internet Protocol (IP) addresses for logged in users and for users leaving comments on the ”Electronics Zone - Your #1 Store For Electronics” website. ”Electronics Zone - Your #1 Store For Electronics” only discloses logged in user and commenter IP addresses under the same circumstances that it uses and discloses personally-identifying information as described below, except that IP addresses are visible and disclosed to the administrators of the ”Electronics Zone - Your #1 Store For Electronics” website. Certain visitors to ”Electronics Zone - Your #1 Store For Electronics” ’s website choose to interact with ”Electronics Zone - Your #1 Store For Electronics” in ways that require ”Electronics Zone - Your #1 Store For Electronics” to gather personally-identifying information. The amount and type of information that ”Electronics Zone - Your #1 Store For Electronics” gathers depends on the nature of the interaction. For example, we ask visitors who sign up for an account at the ”Electronics Zone - Your #1 Store For Electronics” website to provide a username and email address. ”Electronics Zone - Your #1 Store For Electronics” collects such information only insofar as is necessary or appropriate to fulfill the purpose of the visitor’s interaction with ”Electronics Zone - Your #1 Store For Electronics”. ”Electronics Zone - Your #1 Store For Electronics” does not disclose personally-identifying information other than as described below. And visitors can always refuse to supply personally-identifying information, with the caveat that it may prevent them from engaging in certain website-related activities. ”Electronics Zone - Your #1 Store For Electronics” may collect statistics about the behavior of visitors to its website. ”Electronics Zone - Your #1 Store For Electronics” may display this information publicly or provide it to others. However,”Electronics Zone - Your #1 Store For Electronics” does not disclose personally-identifying information other than as described below. Information ”Electronics Zone - Your #1 Store For Electronics”discloses potentially personally-identifying and personally-identifying information only to those of its employees, contractors and affiliated organizations that (i) need to know that information in order to process it on ”Electronics Zone - Your #1 Store For Electronics”’s behalf or to provide services available at ”Electronics Zone - Your #1 Store For Electronics”s website, and (ii) that have agreed not to disclose it to others. Some of those employees, contractors and affiliated organizations may be located outside of your home country; by using ”Electronics Zone - Your #1 Store For Electronics”’s website, you consent to the transfer of such information to them. ”Electronics Zone - Your #1 Store For Electronics” will not rent or sell potentially personally-identifying and personally-identifying information to anyone. Other than to its employees, contractors and affiliated organizations, as described above, ”Electronics Zone - Your #1 Store For Electronics” discloses potentially personally-identifying and personally-identifying information only in response to a subpoena, court order or other governmental request, or when ”Electronics Zone - Your #1 Store For Electronics” believes in good faith that disclosure is reasonably necessary to protect the property or rights of ”Electronics Zone - Your #1 Store For Electronics”, third parties or the public at large. ”Electronics Zone - Your #1 Store For Electronics” takes all measures reasonably necessary to protect against the unauthorized access, use, alteration or destruction of potentially personally-identifying and personally-identifying information. If ”Electronics Zone - Your #1 Store For Electronics”, or substantially all of its assets were acquired, or in the unlikely event that ”Electronics Zone - Your #1 Store For Electronics” goes out of business or enters bankruptcy, user information would be one of the assets that is transferred or acquired by a third party. You acknowledge that such transfers may occur, and that any acquirer of ”Electronics Zone - Your #1 Store For Electronics” may continue to use your personal information as set forth in this policy. ”Electronics Zone - Your #1 Store For Electronics” receives compensation through affiliate relationships with merchants listed on this site. Please know that this in no way affects benchmarking scores, or this site's opinions of products, services, manufacturers, partners, or merchants. The mission of ”Electronics Zone - Your #1 Store For Electronics” is to provide the best functionality for this site's users, regardless of any potential affiliate commissions. In many cases, the features and functionality implemented are at odds with optimal revenue generation. While many people have generously offered donations to support this site, ”Electronics Zone - Your #1 Store For Electronics” does not accept donations. Instead, income received from affiliate relationships funds site maintenance and feature development. If you desire to donate to ”Electronics Zone - Your #1 Store For Electronics”, I kindly ask that you consider donating to a charitable organization instead. ”Electronics Zone - Your #1 Store For Electronics” is a participant in the Banggood, an affiliate advertising program designed to provide a means for sites to earn advertising fees by advertising and linking to Banggood.com.